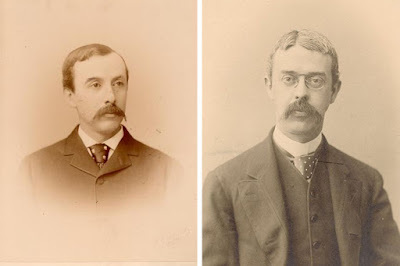 Tommy Rowan at the Philadelphia Inquirer offers an interesting piece on a duel in 1880. At the count of three, the surgeon and the soldier both fired their 10-inch-long, platinum-lined pistols on April 10, 1880. There was no doubt both men fired. But whether Dr. James William White aimed his shot at the sky rather than the heart of Robert “Bertie” Adams Jr. was the subject of much debate. The “slight misunderstanding” that led to the once-infamous “affair of honor” was not over a woman — it was over an outfit.